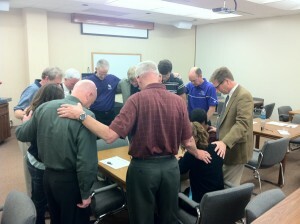 The College of Business at ACU » What exactly does a ‘Christian’ business school look like? What exactly does a ‘Christian’ business school look like? Students and parents choose a university based on several possible criteria. For those students majoring in business at ACU, some possible reasons would include our faculty – undergraduate courses taught, not by graduate assistants, but by faculty who are qualified both academically and by business experience. Our accreditation with AACSB places us in the select category of the best business schools in the world. Our size – ACU is large enough to offer a broad range of quality programs in excellent facilities, but small enough that our students are not lost in the crowds of larger schools. And for students selecting ACU, an extremely significant difference at our College of Business Administration is the integration of Christian faith and learning. To some people, the words “Christian” and “business” sit uncomfortably in the same sentence. The word business is sometimes taken to mean self-serving and self-seeking at the expense of others – just the opposite of the others-first philosophy taught by Christ. And then you throw in the word “school”, then what does that all mean? To the faculty and staff at the College of Business Administration at ACU, a Christian business school means the integration of faith and learning in ways that are lived out and not just talked about. In the classroom, it might involve a discussion of ethics or prayerful concern for a student. Beyond the classroom, it involves living out our faith in the market place, whether in towering office buildings in cities or with people living in poverty, anywhere in the world. Our faculty and students build homes and help feed the hungry in garbage dumps in Honduras, provide medical care for people in the remote areas of Zambia, establish and support orphanages in India and Ghana, volunteer for Meals on Wheels, assist the elderly with tax preparation, and countless other acts of service. 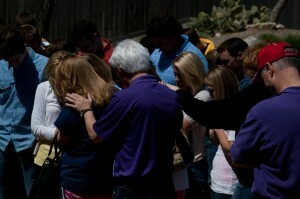 Our mission is great – to educate students for Christian service and leadership throughout the world. Our faculty and staff are capable to that challenge. Our students dream big dreams. Come join us in this journey together.